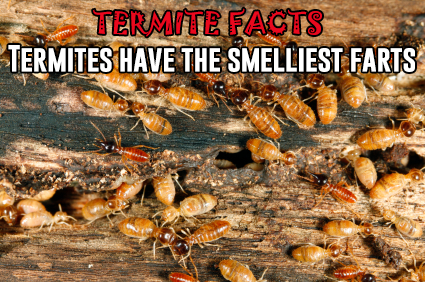 Believe it or not, termites fart the most of any other animal on the face of this planet. They produce so much flatulence that some scientists have speculated that they can produce 165 million tons of methane every year. The National Pest Management Association (NMPA) declared March 12-18 as National Termite Awareness Week. Most people know that termites devour wood, including the wood in houses. But these pests deserve a whole week because they are so much more destructive than most of us know. Read on to find out why termites are such a threat, and what you can do to protect yourself and your family. Here are a few termite fun facts courtesy of the NPMA. Subterranean termites are present in every state in the U.S. except for Alaska. Termites make up 10% of the world’s mass of living organisms. There are more than 2000 species of termite that have been recorded so far. Termites never stop eating. They are eating 24 hours a day, 7 days a week. If you could gather and weigh all the termites in the world, they would weigh more than the combined weight of all the human beings in the world. 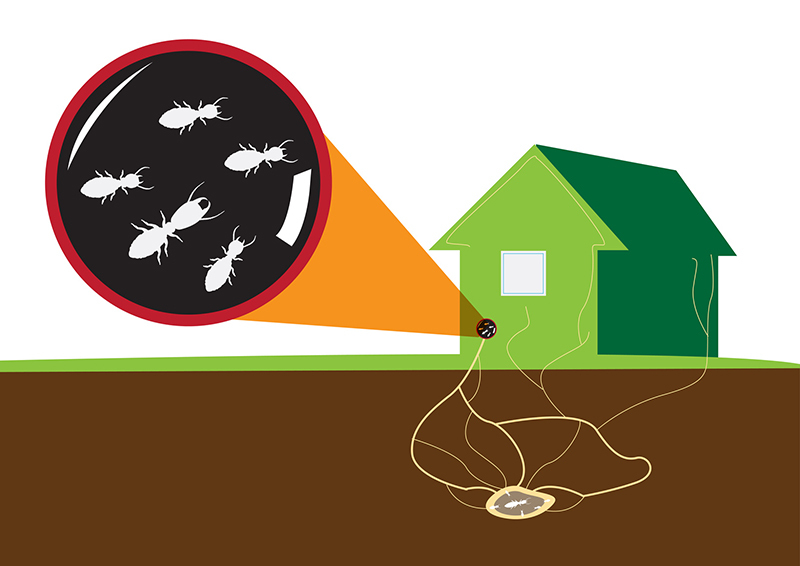 Worker termites can search for food up to 250 feet from their colonies. Termites cause more than $5 billion dollars of property damage each year. A group of termites is capable of eating the entire structure of a home in just two years. Termite damage is not covered by most homeowner’s insurance policies. Another scary fact about termites: there can be up to 2 million in a colony. 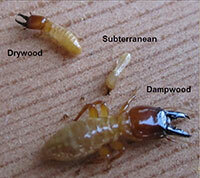 Drywood termites: attracted to wood with less than 12% moisture content. They chew through wood the same way ants chew through dirt, making tunnels and perforations through it until the entire structure is destroyed. These termites enter homes in places where wood surfaces are not bonded together, creating a gap where the pests can enter the home. 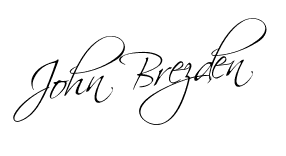 Brezden Pest can inspect your home to find any potential entry points for drywood termites. Subterranean termites: these are the kind of termites that live underground and construct massive tunnels. They will tunnel underground to get to the wood in your home. Subterranean termites usually swarm after a rainstorm. An effective way to keep this kind of termite out of your home is to install Thermal Acoustic Pest Control (TAPS), which can prevent termites from entering your home. Dampwood termites: this kind of termite is most common in low lying coastal areas, although they have been found at higher elevations. They consume any type of wood they encounter by decaying it with fungi they produce in their bodies. 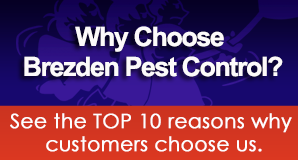 Now that you know how serious termites can be, here are some of the ways Brezden Pest can help prevent termite damage to your home. If you are selling a home and it is in escrow or pre-escrow, we will provide a free termite inspection if you call to schedule your termite inspection by Friday 3/17/17 at 5pm PST. You can call us at 805-544-9446 or email [email protected] for more information or to set up an inspection. We also offer termite inspections for just $75 for FHA loans, VA loans, and refinance loans. In a typical termite inspection, the technician will walk the property and draw a diagram, identifying and problem areas on the diagram. Then the technician will inspect the exterior for evidence of dry rot, fungus, or other signs of an infestation. The technician then moves on to the interior of the home. Areas checked include eaves, door jams, window frames, interior walls, bathtubs, drains, and crawlspace or sub area of the home.